Our pianos are maintained in concert-ready condition by our team of technicians. Please fill out our rental request form below and we’ll be right back in touch with an estimate. We’d love to supply one of our pianos for your next event. 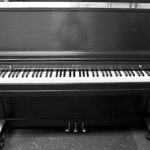 Our prices range from $550 for a small upright to $2,000 for our Steinway Concert Grand for a one day or overnight rental. Additional days range from $50 – $100. Monthly rentals are available. Please inquire. On-site tuning is recommended after delivery, and ranges from $150 for a single post-delivery tuning to $290 for post delivery tuning & touch-up, to $600 – $800 for a technician on-site for a full day. 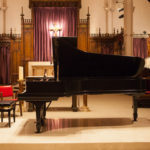 If the piano must be lifted on to a stage, an additional charge of $100 to $400 will apply each time, depending on the size of the piano and the difficulty of the stage lift. 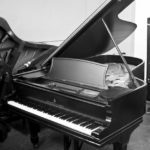 If the piano must be picked up outside of normal business hours, or must be delivered/picked up at a specific time, an additional charge of $400 – $600 will apply for each. If the piano must be carried up stairs, there will be an additional $5 – $10 charge per stair for both delivery and pick-up. Please tell us from whom we have the pleasure of hearing! Please enter the best phone number we can use to reach you. Please provide an email address where we can send our estimate. Please indicate if you are interested in renting an upright or a grand piano. Please let us know what size of upright piano you'd like to rent. If you don't know, that's ok, we can talk about it later. Please let us know what size of grand piano you would like to rent. Please let us know what kind of piano rental we can help with. Please let us know the date of the event. We can figure out exact delivery dates and times later, but this helps us get you an accurate quote. Please tell us how long you'd like to rent the piano. 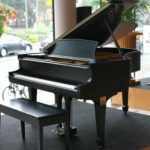 If the piano is being delivered to a commercial venue, please give us the name. If not, leave this field blank. In all likelihood, we've been there before, so we'll have a good idea of what's involved. Please let us know where the piano will be delivered. Will The Movers Encounter Any Stairs? Please let us know if the piano will need to be moved up or down any stairs. Please give us a sense of how many stairs the movers will encounter when delivering and picking up the piano. Will the movers need to lift the piano on to a stage? Sometimes the only way to get a piano onstage is to dead lift the piano from the front. If this is the case at this venue, please let us know. Will the piano need a touch-up tuning? We will include the price for tuning after delivery. Please let us know if the piano needs a touch-up tuning as well. Please use this field to tell us about anything we may need to know to provide you with an accurate quote.